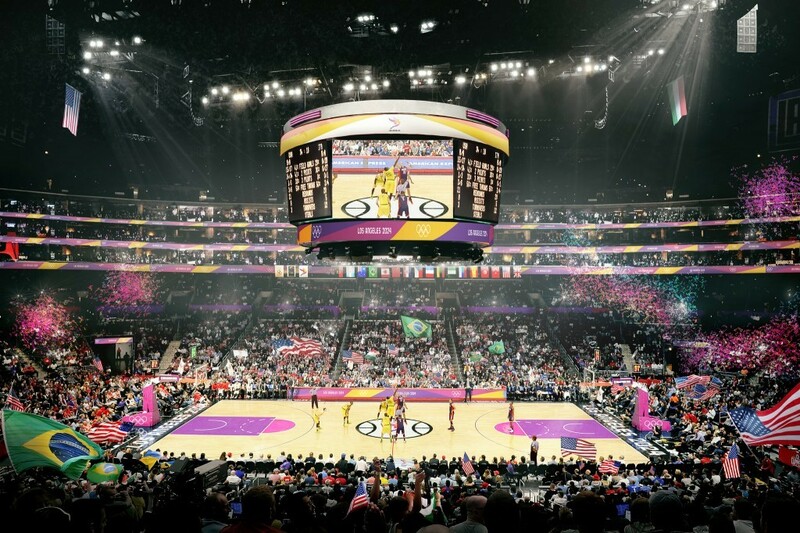 Los Angeles 2024 has launched a series of virtual venue tours depicting the facilities which will be used if the American city is successful with its bid for the Olympic and Paralympic Games. Renderings of their Downtown Sports Park, which Los Angeles 2024 describe as the “beating heart” of their Games project, are the first to be released as part of the series. The Downtown Sports Park would be comprised of venues such as the Staples Center, the LA Convention Center and Memorial Coliseum if Los Angeles is chosen to host the 2024 Olympics and Paralympics in front of Paris by the International Olympic Committee (IOC). They have all been selected to “deliver a high-tech, celebratory, athlete-centered experience for every participant, and minimize financial and operational risk”, according to Los Angeles 2024. Basketball, boxing, fencing, cycling and swimming are among the sports which would be housed at the Downtown Sports Park. South Bay, the Valley, and Long Beach are due to house the other three Sports Parks which make up Los Angeles 2024’s concept. Each of the Sports Parks would include dining, music, sponsor activations, sports showcases and celebration “Live Sites” for event and non-event ticket holders. “Los Angeles is the right choice for 2024 because our city can host the Games without having to build any new permanent venues or an Olympic and Paralympic Village,” said Wasserman. Virtual tours of venues located at the other Sports Park sites are due to be released in the near future as the build-up to the IOC Session in Lima, where the host city for the 2024 Olympic and Paralympic Games is set to be decided, continues. There is increasing speculation that the IOC may award the 2024 and 2028 Games at the same time, with a Working Group comprised of the four vice-presidents currently assessing the possibility. However, both candidates have stressed that they are only interested in the earlier edition.